Savor The Crazy: Oh, Facebook, How I Love/Hate You! Oh, Facebook, How I Love/Hate You! Here lately, it seems social media, or at least the sites I am involved in, has become a platform for pushing what I should and should not feed my kids (if I really love them), what I should buy, and here lately what I should/should not believe and why I am/am not a heretic/racist/hypocrite/liberal/conservative/good mom/bad mom. It makes me long for the days when "keeping in touch" meant sending a Christmas card. I truly don't have any idea how to use social media other than Facebook (which is so outdated most teenagers no longer sign up for it - it's for middle aged folks) and Instagram. I can put up pictures. And yay for filters that hide "brownish grayish" colored hair as my middle daughter lately described me. Twitter is a real stretch, mostly because of the character limit, and I tend to be long winded. Also, I cannot figure out all the abbreviations. I had to look up ICYMI and BTW and also WTF, which no one should look up. The rest are a mystery. Tumblr? Buy a vowel. Vine? I think it's videos but so is YouTube so I'm not sure. Snapchat seems like Instagram, but I think there is more to it. Reddit...well, I just have no idea. I really don't think social media has made us any more social. In fact, my friend researched and wrote an article (click here and read it) showing how it has actually had the opposite effect. We are lonelier. We are less connected to each other. We rarely hold actual conversations. Our fingers fly across itty bitty keyboards texting and messaging all the live long day. Heaven forbid the phone ring, and we answer it, not knowing who might be on the other end. That said, I am a Facebook expert. I got signed up when Hope was a baby. Back in the day when all you did was post a status update, which was in the third person. ("Martha Koellein Brooks....wishes you would send a Christmas card.") I connected with people I hadn't seen since college, some since high school, and it was so fun to see familiar faces. But guess what? Lots of those faces I still haven't seen off the pages of Facebook because no effort has been made by either party to actually see one another and be social. It just makes for a higher number of friends, more potential "likes" and "shares" of the things I post. And that seems to be important. Why? Why is it important? I think it goes back to my last post, and the fact that we all want to be known. If we put something out there about ourselves (our recent weight loss (or gain! ), our time on vacation, our kids' piano recital or Heaven forbid a video of our kids' piano recital) we might get some feedback. Someone might like it. Or comment about how great it is. And we feel recognized. And important. Known. Which translates to feeling loved. It takes about 1/3 of a second to hit the like button, so is that enough time invested to really show love? I don't think so. But our brains are being trained to think that way. I am surprised by the rush I feel, a grown woman who is actually pretty confident despite my thighs, when I get a bunch of "likes" or "shares." Imagine if I was a teenager still lamenting my thighs. Is Facebook where I would find my confidence? Probably. It is time for a clearing of the head. In times of controversy, I traditionally take a Facebook fast. I want Facebook to be fun. I just want to see your pictures. Hear your funny stories. Stuff you would put in an old-fashioned Christmas letter. So when things start getting crazy (like when it's close to an election or something divisive goes down), I'm out. Girl just wants to have Facebook fun. So right now I am kind of fasting. (except for posting this, of course) Because here's the thing: there's a lot going on in this broken, broken world. A lot. And some days my Facebook feed feels equally broken. People, believers, post things I am not sure they really have thought about or read all the way through. Articles that say vicious things in the name of what we think Jesus would or wouldn't do. Articles that tell me if I own a gun then I stand with the shooter. Articles that tell me if I think Bruce Jenner should have stayed a man I am a bigot. Articles that declare Caitlyn Jenner is headed to hell in a handbasket. Articles that tell me I better get a gun so I can defend my beliefs. So I have to quit for awhile. Because none of those things really point me to Jesus. In fact, these things get me really riled up, and defensive, and self-righteous, and, because I am a horrible person, more concerned about being right than I am about showing Jesus. And - news flash - nothing posted on Facebook really changes anyone's mind. (Except this blog, of course.) Love someone? Care about someone enough to care what he/she thinks? Take more than 1/3 of a second to share a controversial article. Go chat. Face to face. Action. Service. Hands and feet of Jesus stuff. That is how you can change someone's mind. The Bible talks about how Jesus ate with the prostitutes, the poor, the broken, the cheating tax collectors (darn IRS), the worst of the worst. He didn't avoid these people. He went and found them. He went to them to pull them out of the muck and mire. He wasn't content to let them stay there. There is a better way! And yes, He preached a lot, but when He went to those people the Bible often tells us He ate a meal and visited their house. He went into their space. Where they were comfortable. Where they were the known ones. Not great settings for sermons. So when I post something, or write something, or say something, or do something, or wear something....really, ANYTHING, I want to ask myself, "Is this lovely, useful, edifying, encouraging? Will it point others to Jesus?" If the answer is no, I must walk away. You know how you long to be known? Well, you are. You are known for something. To most people I am known as a talker, opinionated, loud. Preston knows me a little better, and knows I like when he empties the dishwasher and brings coffee to me in bed. But those aren't the things I really want to be known for. Loudness and the dishwasher isn't the legacy I want to leave. When people hear the name "Brooks Family," I want them to think "Jesus." We are a long, long way from that. But articles spewing venom from all sides of the aisle certainly don't help me get there. I need to fill my head with what the Bible says about Jesus. Not what a blogger or magazine or even a preacher tells me. And thankfully the One Who Matters isn't content to leave this family in our muck and mire. Everyday He is using His Word to grow us to be more and more like Him. Also, I want to actually socially connect with the people in my world for a while. Face to face. And not that I don't care about those of you I don't see all the time. On the contrary. We keep our Christmas cards in a basket on the table. Every time we sit down to a meal we pull the one at the front, pray for those people, and put them back in line. But it's time for me to stop obsessively checking for new pictures every hour of people who are "Facebook Friends" and start looking into the faces of the ones who are actually in my face. The ones who are watching my every move. So for a while, a partial media fast is going on. Not total, because we don't want to be weirdos, but a scaling back. We significantly downgraded our data allowance. I took all social media apps off my phone. Preston doesn't need to know what the score is every second. I don't need to see the picture of you at the beach the second you post it. (Unless it's of you getting slammed by a wave, and then I need to see that right away.) A check-in every day or two should be enough to keep me up to date. I took the ESV Bible app off my phone (GASP! 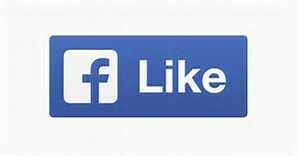 I think I am still going to Heaven...) because my oldest, early riser girl would come down in the mornings and think I was looking at Facebook instead of doing my devotions. So back to a good old fashioned paper Bible I went. We also have resolved to stop checking the news all the time. It used to be enough to get a morning paper. Now we are able to keep up with all the huge nonstories 24/7 in the palm of our hand. We have a couple weeks of vacation coming up and won't be taking a laptop. So, for a season, I'm going slightly dark. But don't worry, I'll be back with horrifying uplifting vacation stories before you know it. Your post was a refreshing read because this "heads down" phenomenon is just as prevalent here in Europe.